The Karen Blixen Camp Trust (KBCT) Educational Initiative at the Karen Blixen Camp is proudly following the footsteps of the world famous Danish poet Karen Blixen by empowering the local communities through education in the heart of the Maasai Mara. The KBCT Educational Initiative is comprised of the Culinary Arts Program, the Language Program, and the Information and Communication Technology Program and Business Studies Program. The Initiative was started in January 2012 with programs in forestry education and culinary arts for the local communities in the Maasai Mara. The Danish governmental program, Danida, funded the development and start of the Educational Initiative. Language, Information and Communication Technology (IT), business studies, and culinary arts programs for the local communities and staff of Karen Blixen Camp are currently offered through the Initiative. The Culinary Arts Program provides an 18-month course to 18-25 year-old students of the local Maasai who seek a career in the culinary arts. 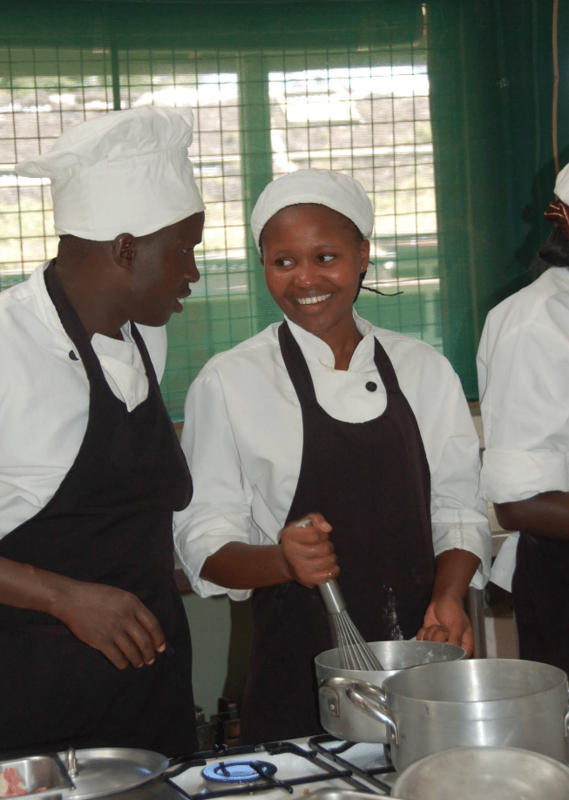 Graduates are prepared for positions as chef or sous chef in camps and restaurants in Kenya. Graduates of the Program have had great success in securing employment. Twenty-seven students have completed the Culinary Arts program, all of whom secured jobs within two months of completion of their culinary arts education. The Language Program follows the theme of “Learning for Life” by empowering students with English and German language skills that are in tandem with today’s changing world. Staff of the Karen Blixen Camp as well as members of the local Maasai community are educated in the Language Program. So far 40 students have been given Basic English skills to date while 23 students have attained the A1 level in German studies. It is a goal to expand language training to additional members of the community. Information and Communication Technology (IT) in Kenya is becoming the largest distribution platform for providing public and private services to millions of people in rural and poor areas. The integration of telecommunications (telephone lines and wireless signals), computers, as well as necessary software, storage, and audio-visual systems, enables users to access, store, and transmit information. Our IT and Business Studies courses are tailored to best fit different groups within the community. Online marketing, entrepreneurial, and business planning skills among others are part of what are courses offered to our students. The School for IT and Business Studies has currently educated over 50 students, among them are staff of the Karen Blixen Camp and members of the local Maasai community. As a sponsor of the Educational Initiative you will support the daily operations of the school including teachers’ salaries, teaching materials, computers etc. See pictures from Karen Blixen Camp Trust Educational Initiative here.